Hybrid Cloud provides organizations with the flexibility to maintain specific data and applications on the public cloud while keeping the remaining infrastructure in a private setting. This could entail deploying a dynamic application on a public cloud and deploying another application with high security requirements on a private cloud. This architecture explores backend integration of on-premise data centers to Alibaba Cloud resources using queuing services. 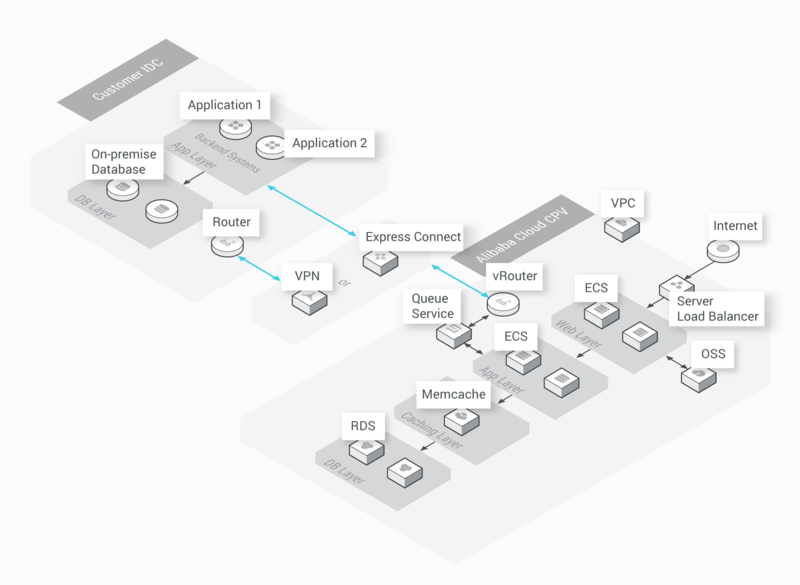 Through this architecture model, customers can use Alibaba Cloud managed services us such as VPC and ECS for integration into their backend application. Users can conveniently modify and save costs on resources as per their requirements. Backend integration architecture is most suitable for backend applications that are complex, and where data security is crucial, as VPN and Express Connect provide for faster and secure bandwidth.